Miss Meadows' Pearls - Fashion, Photography, Alternative Model, Burlesque, Vintage Miss Meadows' Pearls: Fräulein Frauke Presents - Wonderland! Last Saturday I found a rabbit hole in the ground while I was out for a walk. I decided to jump down into it, and when I landed on the other side, I found myself surrounded by all kind of weird people and creatures, and I was told I had come to Wonderland... Or, actually, I had come to Nalen, that had been transformed to Wonderland - which was the theme for Fräulein Frauke Presents this time! 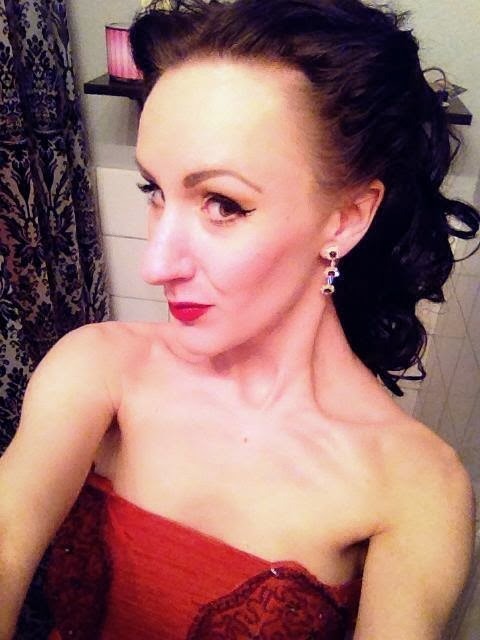 I wore my red tulle ball gown from the 40s. I didn't get a good picture of it, but I wore it for a photo shoot a while ago, so if you want to see the whole dress, go here! The earrings are from Daisy Dapper! 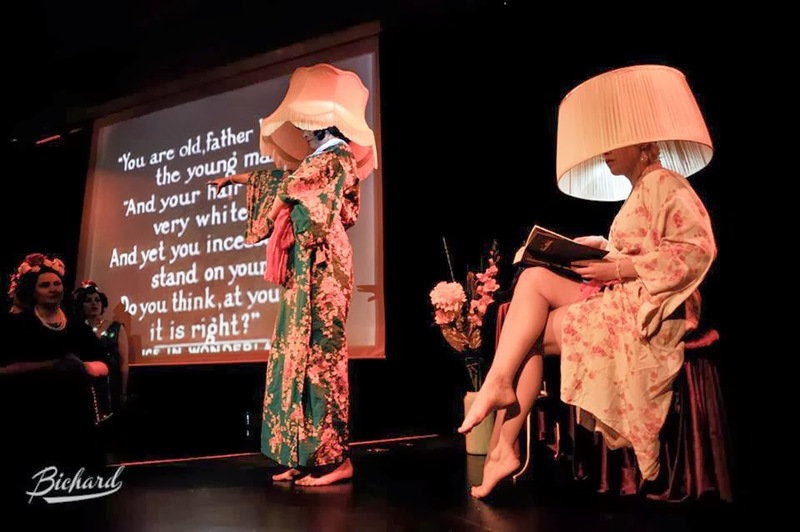 As anything can happen - and does happen - in Wonderland, it felt completely normal when Sugar High & Le French Tiger went up on stage and did a burlesque performance with lamps on their heads! Then Johnnie Lowlife took the stage. Here accompanied by Alice in an old version of Alice In Wonderland that was showing on one of the walls. Gabriella Dal Rooth, Leo Gongora, Nosslo-Grebnellaw Anilaup and Karin Victorin! 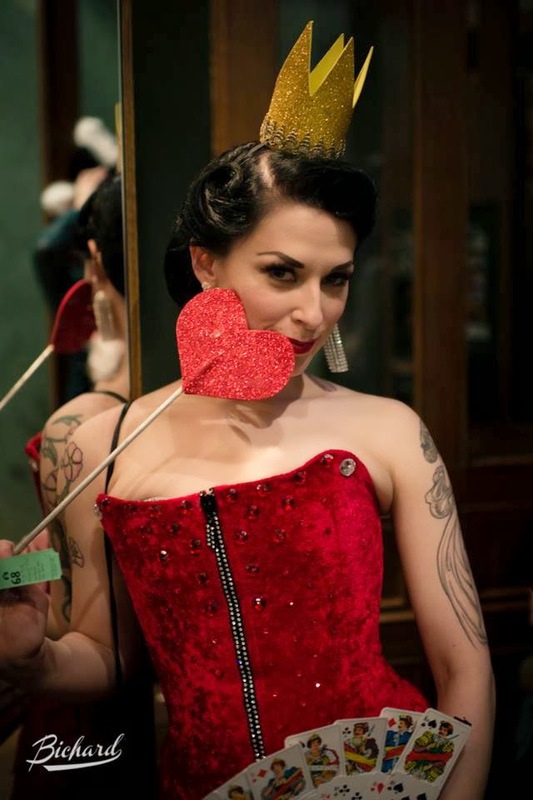 Fräulein Frauke - who did the sauciest performance I've ever seen her do! With latex and all! I just had to hump her a bit on the dance floor later that evening. Haha! 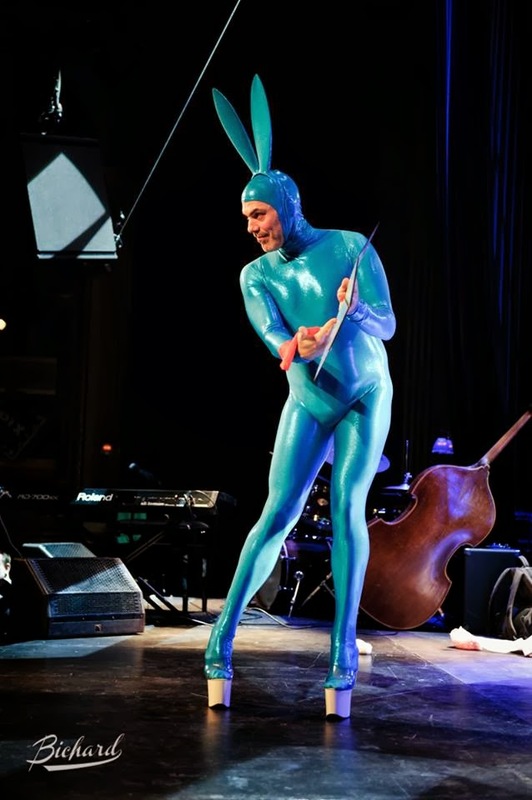 Everyone's favorite bunny - Scotty the Blue Bunny - was back in Stockholm to present the show! 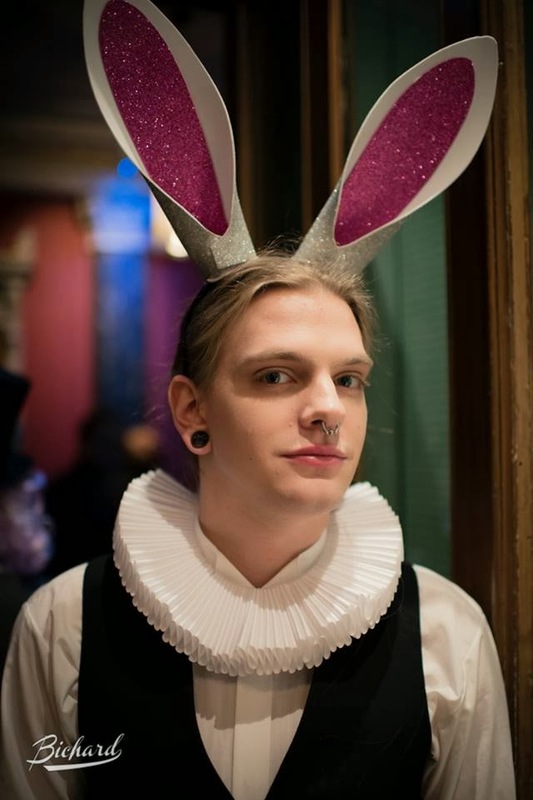 Since the theme of the evening was Wonderland, many guests had dressed up as rabbits. Scotty decided to bring them all up on stage for probably the best bunny-shot ever! ...and her own bunny Albin! 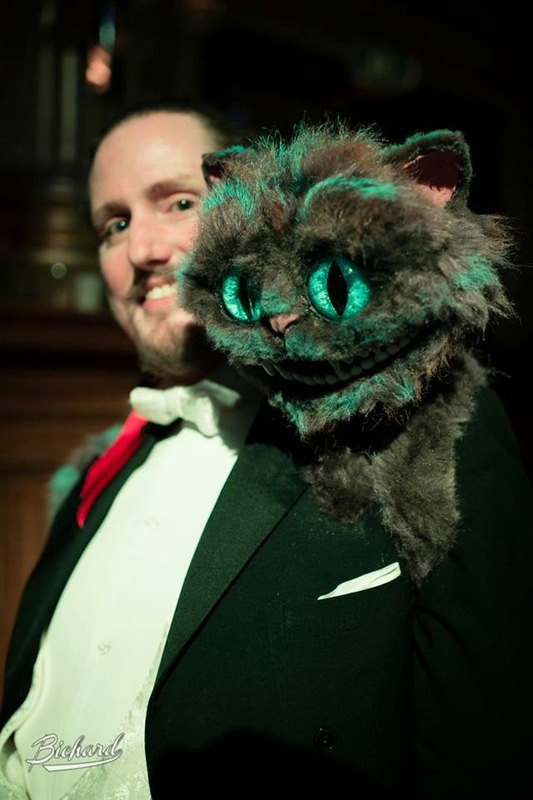 Mr Hultgren had brought the Cheshire Cat on his shoulder. I WANT THAT CAT!!! Lenore Cain had made a crown out of her own hair. Impressive! 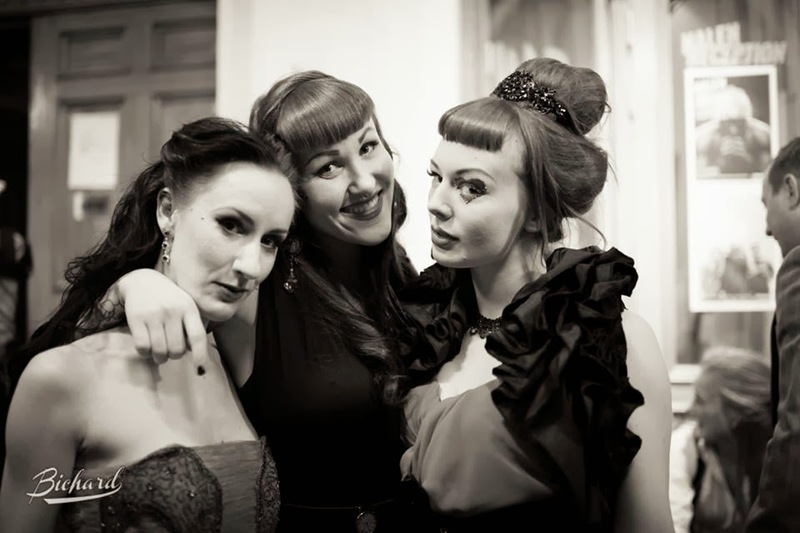 And here is me, with Elegy Ellem and Miss Loulou! I danced until my feet bled - literally! I was wearing new shoes, and forgot to bring band aids... But I couldn't stop myself when I came out on the dance floor, so who cares?! As usual the night was magical, and I can't wait till next time! 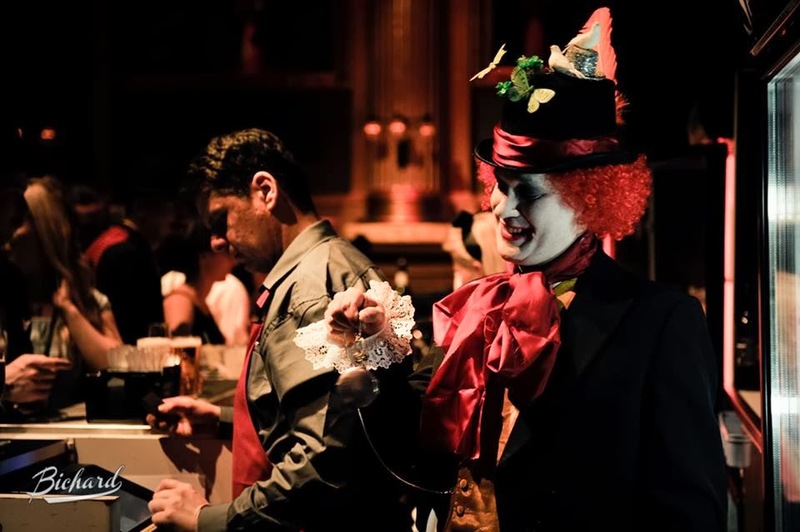 For more info about Fräulein Frauke Presents, and to see more photos from the evening, please visit their Facebook page here, and their web site here! All photos (except the top picture) by John-Paul Bichard.